This note is just to let you know that the cypress you supplied is working out great! 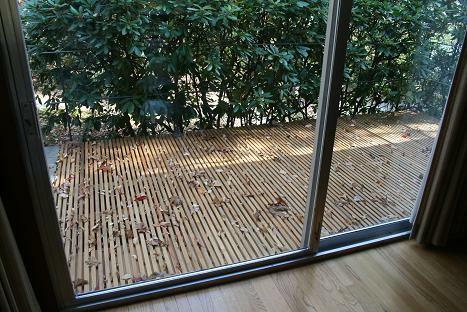 I bought wood for two projects but have only done one of them so far, which is the deck shown in the attached photo. Our house is a mid-century modern (flat roof and lots of glass) and the deck was a replacement for a similar one that was done in oak and rotted out. You supplied 5/4 X 6 boards that I ripped to 1-3/4 slats for the deck. It was finished with an oak stain. Many thanks!